OJ Simpson was granted parole recently, and will be leaving prison in October. But while he will be free for the sake of having his rights restored and the ability to come and go, there’s one thing that the parole board can’t free him from: the obligation to pay back the multimillion dollar verdicts entered against him by a civil court after being found civilly liable for the killings of Ron Goldman and Nicole Brown Simpson. The fact that OJ’s property can still be taken so many years after the judgment was entered should be an asset protection wake up call for all of us. A judgment entered against you is good almost forever. In Florida, it can be collected for twenty years but that time can be extended if the creditor asks the court to “renew” the judgment, which is a relatively simple process. The effect is that there is almost no time limitation on how long a judgment against you is valid or can be collected. Often, people will give no thought to moving assets to places that they are protected from creditors. They figure they have few assets, and they make little income. As a result they may allow judgments to be entered against them if they’re sued. But that’s shortsighted thinking because it represents where they are right now. People are often shocked that creditors can and often do ask about assets or try to schedule depositions many years after the judgment is entered. But creditors with a judgment can wait to collect on the judgment until you get your promotion. They can wait until you receive that inheritance. They can wait until you receive that advanced degree and move up the corporate ladder. The fact that you may be ten or fifteen years away from really making money or having anything means nothing because that judgment will still be there, waiting for you to have money to pay it off. What’s even worse is that in that time, post-judgment interest is accruing. When you actually have money or assets to pay off the judgment, it may be so large you can’t pay it off even if you wanted to. OJ Simpson’s creditors (the families of the deceased) simply waited until he was out of prison, and now, see him as having revenue to pay those judgments back. The problem OJ will have is that his judgment is already entered. 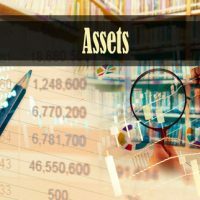 Many asset protection avenues, like trusts, aren’t applicable or available after you have a debt or a creditor. He does have a number of pensions, however, which are generally fantastic asset protection vehicles providing solid protection from creditors. Clearly, OJ Simpson’s situation is an extreme example of the necessity for advance asset planning. Still, it is an important reminder that time won’t remedy a judgment and asset protection is a good idea even if you don’t think you have the need for it today. Don’t wait until it’s too late to protect your assets. Contact Tampa business and asset protection attorney David Toback to discuss a comprehensive plan for your property.